So - somehow I haven't had time to see the new Alice in Wonderland movie! Hopefully this weekend! Even though I am super excited about the movie, I am even more excited by all the Alice inspired goodies that have been popping upt! Woo hoo! Love it! 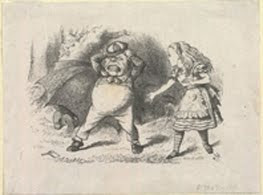 I am leaving for London on Tuesday and I am definitely going to check out the "We are all mad here: Alice in popular culture" exhibit at Victoria and Albert Museum. Can't wait! 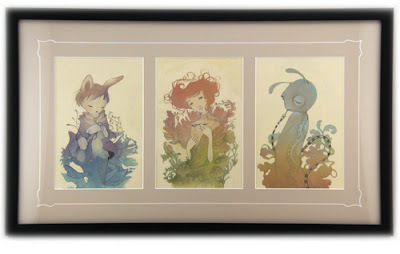 Thank you to TokyoBunnie posting about the Curious and Curiouser show at Gallery Nucleus. So many great works. Here are some of my favorites. 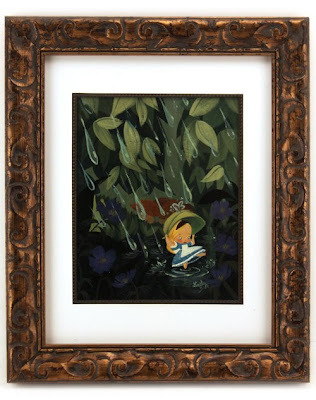 I loved this piece because it reminded me so much of Mary Blair's Alice drawings she did as inspiration for the Disney animated version of the film. 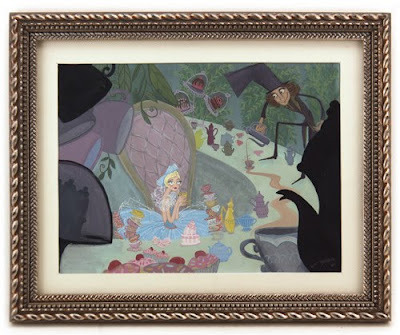 Turns out Lorelay works as an "visual development artist" for Disney. I might be a little jealous of her! Hmm - I wonder if she is related to Lorelay? Though - she seems like she has an accent over her last name and I don't think Lorelay did. She also used to work at Disney, but in consumer products. Why does Disney hire everyone but me! :( I kind of - not so secretly - have always wanted to work for Disney - I thought I was gonna be an Imagineer when I grew up. 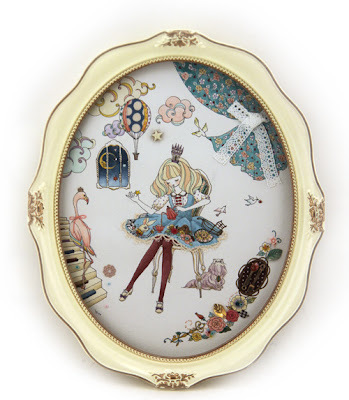 Tea Time of Incredible Curiousities by Hiromi Sato. Love this piece can't find anymore information on the artist? Let me know if anyone has any! Alice, the Rabbit, and the Caterpillar by Amy Sol. I love love love Amy Sol. I like that this is more colorful than most her pieces! Also Love this Alice inspired photoshoot by Ramdaq Photography that I found on Much Love's Blog. 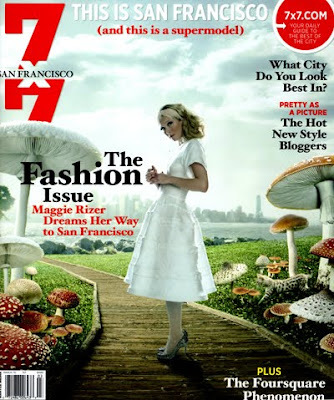 7x7's March Cover with a great "Fantastic Journey" photoshoot. The Liberty London for Target ad seems awfully Alice inspired! My friend Isabelle[Stargarten] and I just bought some tea cups at a flea market this weekend. We are gonna paint them and make them awesome! I am pumped about it! We are doing it for a "Tea Party" themed fashion show we'll be participating in - this June!